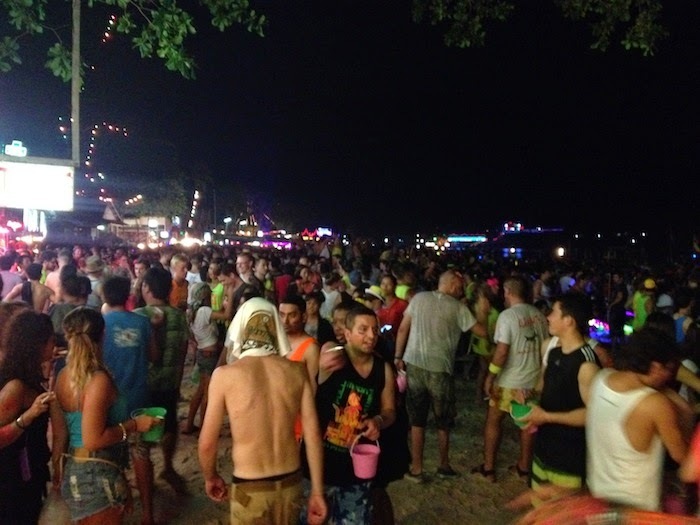 Last year on our honeymoon in Thailand, Nick and I had the opportunity to attend likely the best party of our lives: the Thai New Year & Full Moon Party in Koh Phangan. Now, for those of you that might be confused, these are typically two separate events. The Thai New Year is celebrated April 13-15, while the Full Moon is celebrated each month on the eve of the full moon. Last year, it just so happened that these two events overlapped, meaning two of the world's biggest parties occurred simultaneously. Our day began at the early hour of 4:30 A.M. See, Nick and I had just arrived in Thailand two days before, which is a 12 hour time difference (and thus, complete flip flop) from Minnesota. In addition to this, we had only been in Minnesota for about ten days after arriving home from Sweden, so in a way we were still adjusting to that time difference. Because of all this, both Nick and I were wide awake by 4:30. We decided to start our day off on a good note, and headed to the beach for a nice run alongside the ocean! 4:30 was the best time of the day to run, as we discovered- there was not a soul on the beach, and rather than being terribly hot at 95 degrees, it was just very warm at 85. After our run on the beach, we went for a swim in the ocean, then back to our beach bungalow (loved the stay at First Bungalow Beach Resort! ), showered, and made it to breakfast at 7.
daquiri to start the day! After breakfast, we lounged by the pool and ocean for a few hours before walking into town to book our trip. We were staying on Koh Samui, one of the islands in the Gulf of Thailand, which is just a short boat ride to Koh Phangan. 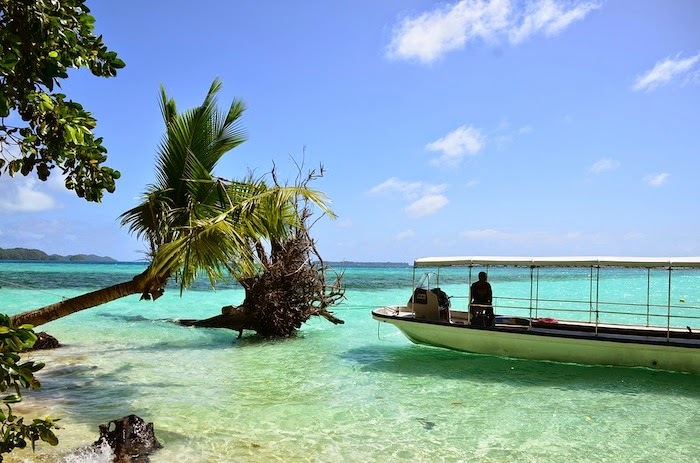 Koh Phangan is the island best known for the full moon party and Thai New Year party, so we knew this was where we wanted to be. However, as we discussed things over lunch (complete, of course, with strawberry daiquiris! ), we wanted to have a low-key night. 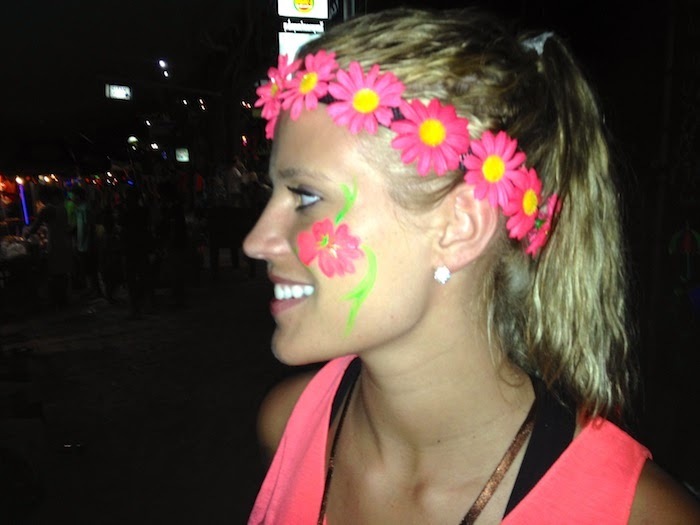 The boats to Koh Phangan left beginning at 8 PM, and began returning to Koh Samui at midnight. We decided that we would take the 9 PM boat and return at midnight, giving us a solid two hours to experience the party. Neither Nick nor myself typically stay out late, and after a long day and jet lag we figured this would be more than enough. ready to head to Ko Pha Ngan! Finally, the hour arrived for us to head to the marina and go to Koh Phangan. I was dressed in hot pink, Nick in neon orange. We felt ready for whatever the night held in store for us. The boat ride was smooth sailing and quick to Koh Phangan, and we immediately stopped to grab some cash out of the ATM. As we would discover the next day, this may or not have been a mistake: when Nick's bank account showed his balance in Thai baht (30 to $1), during a moment of confusion we thought we had a ton more money than we did and left the debit card in the ATM! 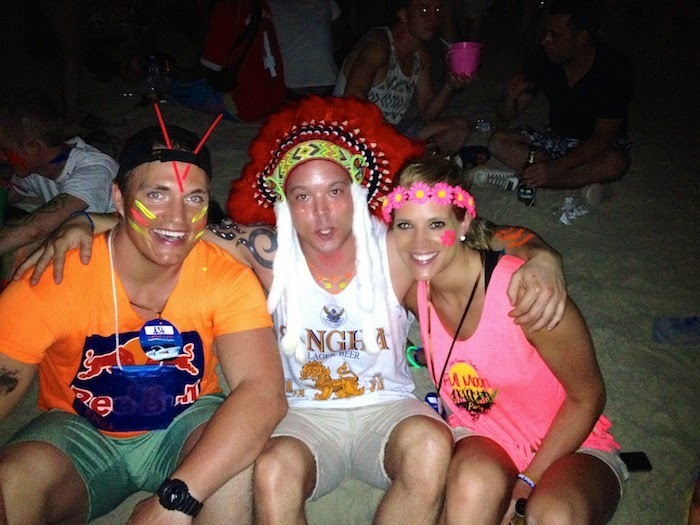 Of course, this wasn't realized until the next day, so it was off to the full moon party we went! 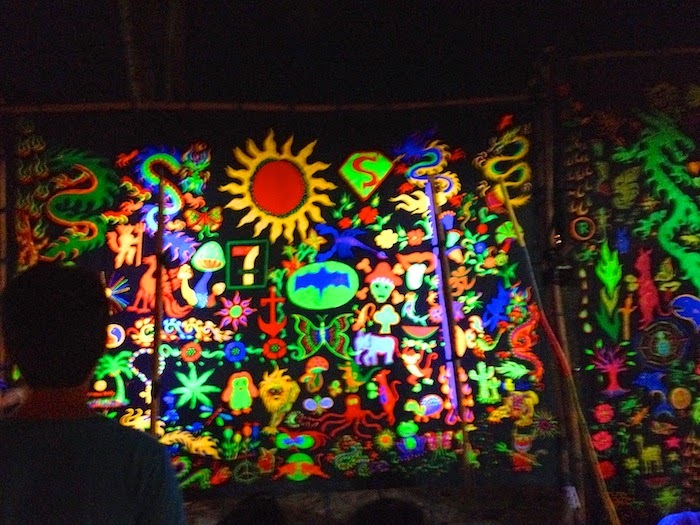 Once you arrive to Koh Phangan, you are immediately greeted by a sea of neon-clad bodies. For the coincidental Full Moon & Thai New Year Party, approximately 50,000-60,000 people attended. Imagine the biggest party you have ever been to, throw everybody in neon & glow lights, put it on a gorgeous beach in the middle of the ocean, and you start to come close to this party. Of course, you have to pardon the image quality… we did not want to bring a nice camera with for this trip, and between the darkness, bright lights of the bars, and glow lights everywhere, it proved nearly impossible to get a decent picture with my ancient iPhone 4s! You might notice the people carrying buckets around. Those aren't for playing in the sand, those are how the mixed drinks are served! 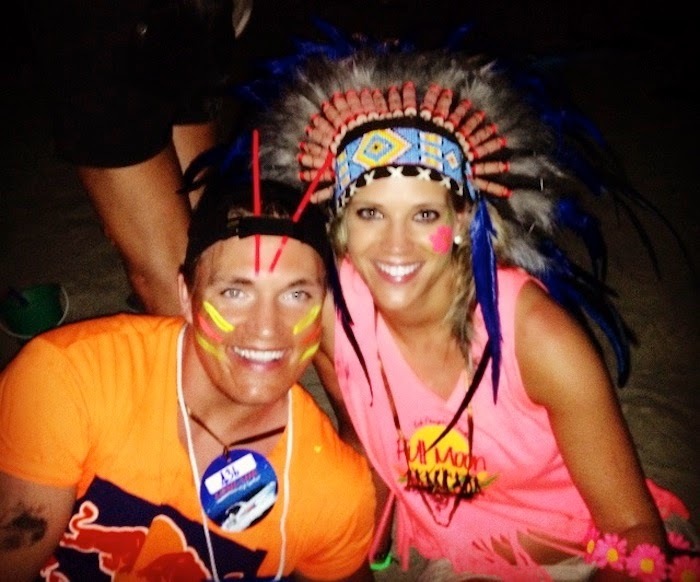 Of course, Nick and I wanted to get in on the full swing of the party…so I was decked out in a neon full moon t-shirt, flower head band, and a little bit of face paint! Lining the beach, there were bars selling drinks, people selling neon t-shirts and accessories, and face paint stands such as this one. You had hundreds of options to choose from, and really in any size you would prefer for the evening! Once we were dressed for the party, it was off to the beach and time to meet some new friends! At some point of the evening, Nick and I realized that we were definitely having way too much fun to go home at our originally planned time. However, as we knew this was a once-in-a-lifetime experience, we figured it was completely 100% worth it! 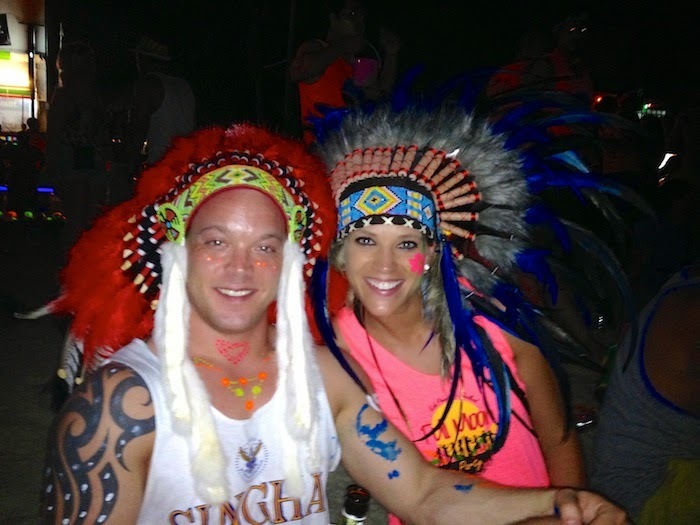 wasn't too long before I had borrowed one of our new friends' headdresses! As the beach is mostly full with tourists, it was definitely easy to meet new people and socialize. A couple of words of advice for attending a party like this: make sure to have a plan on staying together in a group with the people you came with, and always have a back up plan. If at all possible, just don't get separated! Nick and I had a plan where every hour on the hour we would meet at the outdoor Cactus Bar if we were separated for any reason. Fortunately, thanks to his (very ridiculous!) glow stick antennae, this was never an issue for us! In addition to this, make sure you are wearing sturdy shoes. As the beach is filled with people partying, there is definitely a chance for broken glass among the sand- so watch where you are walking! 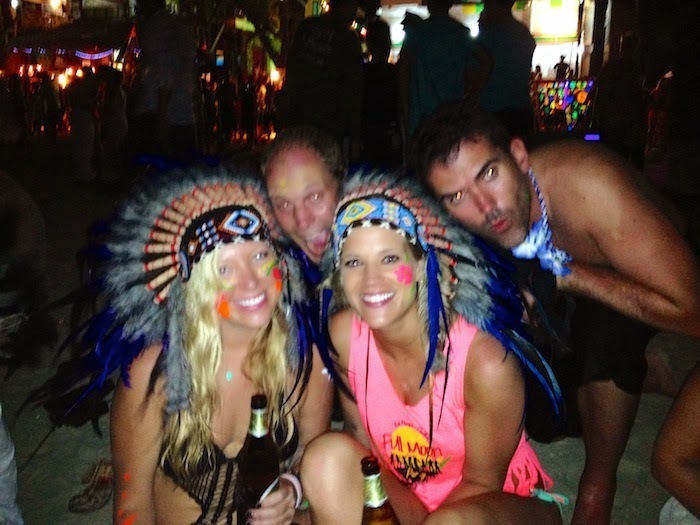 All in all, our evening in Koh Phangan is definitely a once in a lifetime experience that we will never forget! We ended up staying out until 5 in the morning- which was perfect time to head back to our hotel, grab an early breakfast, and then catch a few hours of sleep! 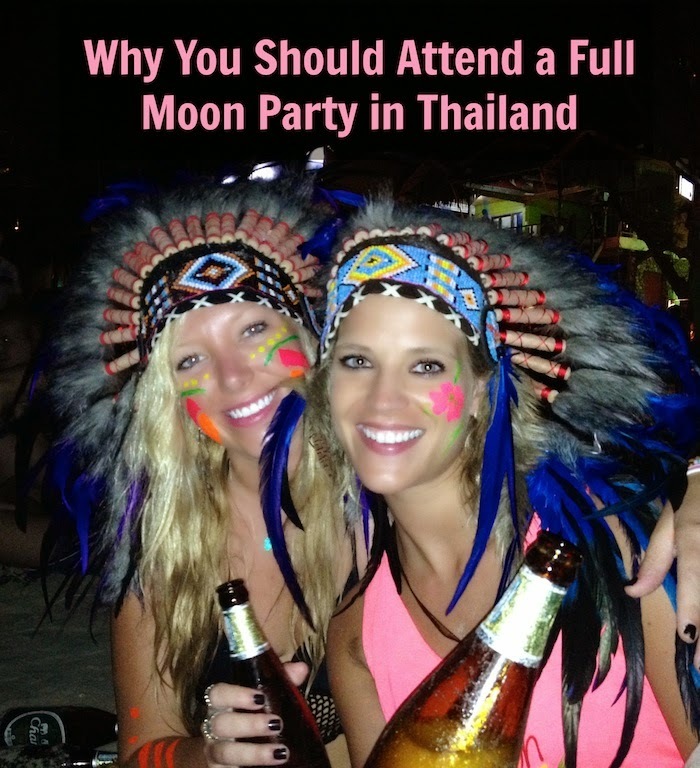 If you ever book a trip to Thailand, I highly recommend checking when the Full Moon Party will be held (it is a monthly event on Koh Phangan) and attending it. 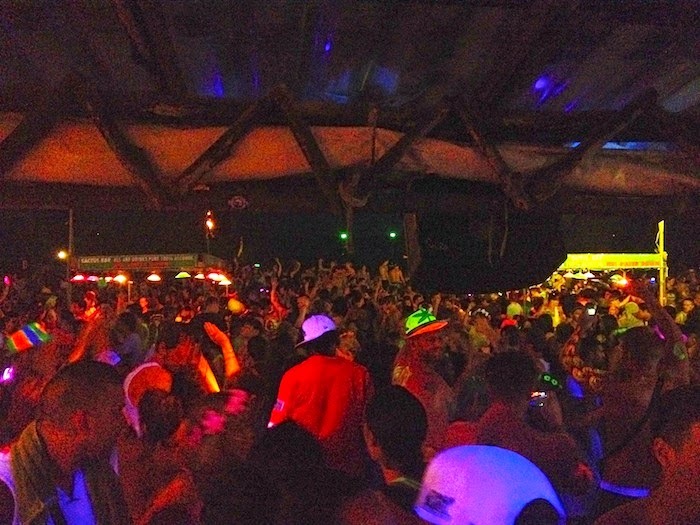 It was definitely the craziest and most fun party I have ever been to! What about you, what is the best party you have ever attended? So fun! I can't wait to be in Thailand! Ooh, when are you going?! I had such a great time and already can't wait to be back! Ahh I so want to go! This looks like such a blast, and good tip about wearing shoes, I could only imagine the kind of things you could step on at those parties. It was so much fun, and definitely one of the highlights of our honeymoon! I'm hoping to make it back to Thailand one of these days, but who knows! That sounds like such a great plan Michelle! Thailand was such a great place to visit…I already can't wait to go back! I'm so jealous! I just got back from Thailand and we JUST missed the full moon party (it was our first night in Bangkok when we were there). Thailand is amazing! Oh that is too bad you missed it! I bet the rest of your trip was amazing though. Thanks so much for stopping by! Their fun party checklist also can in handy; keeping me focused and on track!